An outstanding wildlife safari destination. 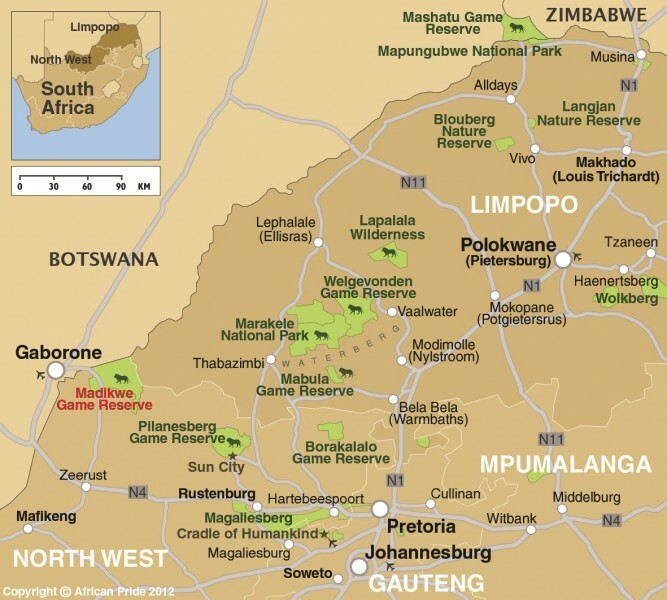 The reserve is on the north-western border of South Africa with Botswana, it's the fourth largest reserve in South Africa and, very importantly it is malaria-free. The reserve was created with the re-introduction of over 10,000 wild animals in the world's largest game relocation programme. Madikwe is once again home to both white and black rhino, buffalo, elephant, lion, leopard and wild dog plus a myriad of birdlife. 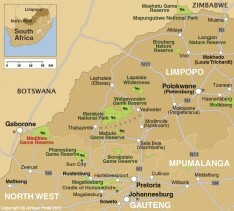 There are daily scheduled flights from and to Johannesburg or transfer by road which takes about 4.5 hours.